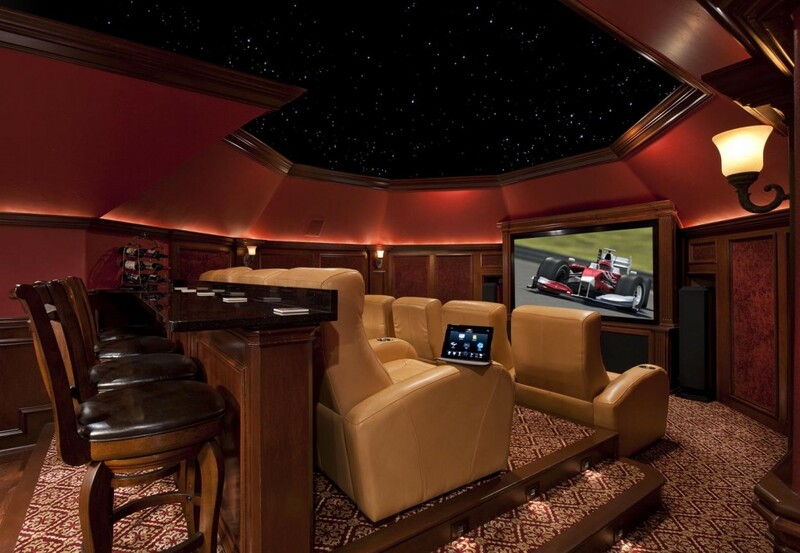 Design Build - Stellar - Home Theater & Automation - The Ultimate Entertainment Experience! 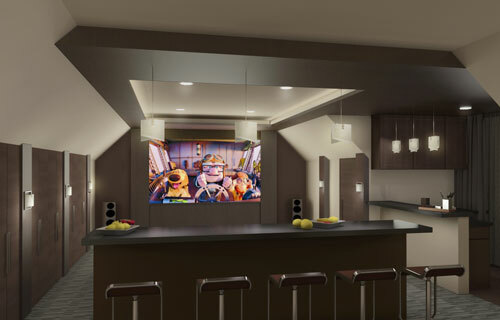 STELLAR™ provides complete design-build services on your custom media-room and digital living needs. Our integrated design and construction services result in seamless, architecturally-refined, and well-crafted projects. We have in-house registered architects and interior designers, who collaborate with you to create and design the space and experience. We provide concept drawings and 3D renderings so you can visualize the design, and also produce construction drawings and permit documents as required. We utilize the talents of specially-assembled skilled and trusted subcontractors and artisans, who transform the virtual design into reality. No project is too large or too small. We will provide excellent service whether you are finishing out an existing room, converting attic space, or needing an addition to your residential or commercial space. Below is a sample project. Please note how the design transforms the shape of the space itself – It is hard to distinguish between the 3-D rendering and the final actual space! The clients LOVE their new theater space! 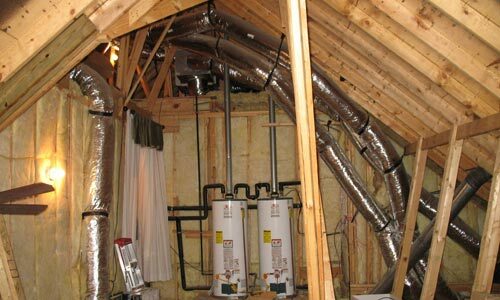 The existing space was an un-finished residential attic with exposed ductwork, insulation, water heaters, plumbing, electrical wiring etc. STELLAR™ designers were able to open up the space to create a theater room as well as a bar and entertainment area, with some minor structure changes and re-location of studs. We provided drawings to communicate design options to the client, and based on the feedback received, we created a 3-D rendering of what the space might look like once finished. STELLARs construction team of skilled craftsmen worked efficiently and tirelessly to transform their dream theater project into reality. We got the client’s feedback throughout the construction process, and details such as lighting, carpet and seating were selected. The clients LOVE their new theater space, and could never have imagined that the 3-D rendering we showed them would actually become a reality! If you are interested in such a complete design of a theater including interior design, carpet, lighting, columns, seating, coupled with AV design please contact one of our design consultants, or sign up for a FREE In-Home Consultation . Please mention “Design services” in your email, so we bring our architectural and interior design experts with us to your residential or commercial location. 1) STELLAR™ will come out to your location to take pictures of the jobsite and provide a FREE consultation. 2) For a certain fee, STELLAR™ will provide complete drawings of the finished project for review that will eventually be delivered to the construction crew. 3) If city permit is needed, STELLAR™ will apply for the permit for any additions to your property, finish-out of any existing spaces, master electrician, HVAC, plumbing needs etc. 4) STELLAR™ will provide an option for a 3D rendering of the existing space, allowing the customer to get a view of the entire finished space including the options to change colors, trim-work, lighting etc. 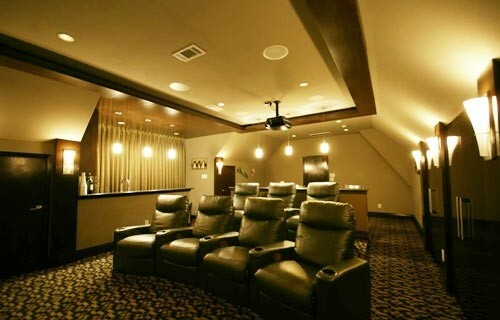 For example in a theater room, customer can select options for trim-work, theater columns, lighting design, carpet, seating design even before the project starts. This way all the required items can be modified even before the start of the project. Now the excitement is high, you have seen how your project is going to look, and it is time for our construction crew to come in and begin work! 5) STELLAR™ will provide a weekly schedule for project for construction, AV design, finish-out, along with full AV calibration. 6) Project manager is assigned and the work begins, and at the end of the scheduled timeframe work is finished for construction and AV work. 7) You are now ready to enjoy your room. STELLAR™ takes pictures of the finished project and compares to the initial 3D rendering that was provided and 100% of the time they look exactly the same! The service provided by the STELLAR™ team is unparalleled in the industry. Please talk to one of our consultants to schedule your project, and be sure to use our complete design services.